This past weekend I found myself fishing solo. First and foremost, I never do this unless I am 100% sure the ice is in good condition. Ice fishing alone is just not a good idea. With safety in mind, I was ready to hit Rock Creek Lake on a recon mission. I haven't fished the lake all winter, and was looking forward to checking out a few new areas, which were found in the lake fall in a boat, along with checking in on a few of my time-tested spots. With snowmobile in tow, I had planned to hit the new areas on Saturday afternoon. 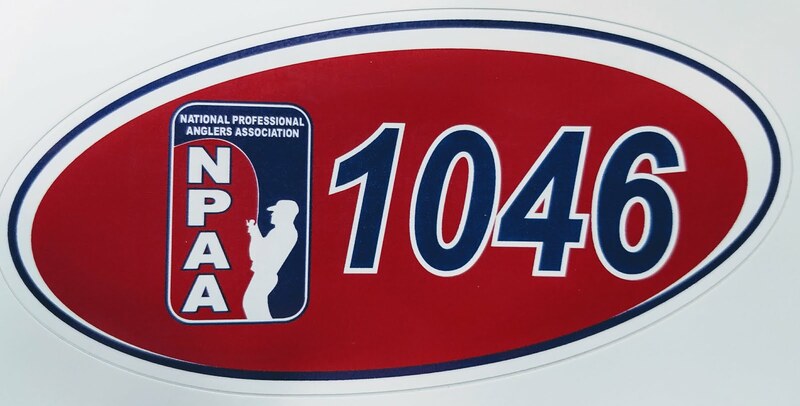 I was able to accomplish this, thanks to the modern conveniences of GPS, snowmobile, power auger and of course the Vexilar. Rock Creek has about 400 acres of water to cover, and the snowmobile makes short work of it, and allows me the chance to carry all my gear with little wear and tear on me, letting me focus on fishing. It was a good afternoon and I did find one new area that was holding some nicer bluegills. However, all the way home I couldn't help but wonder where the better crappies were. Sunday morning came, and I just had to go back to Rock Creek in search of the crappies. I planned to check the new area too, to see if the fish were living there. Sure enough they live there. 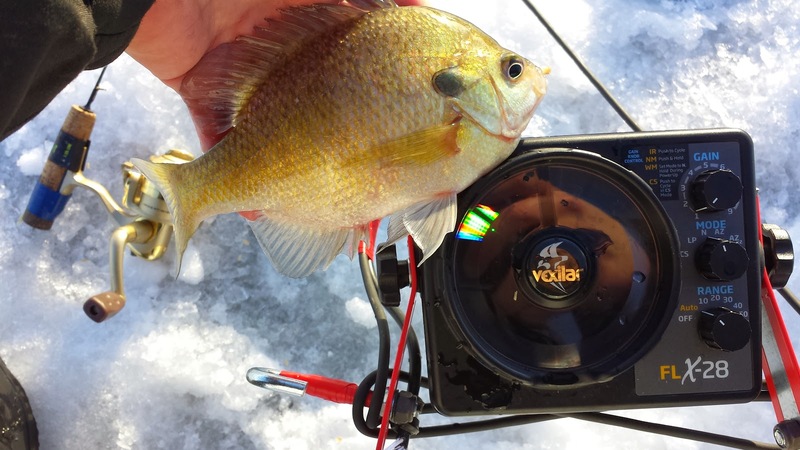 Nice bluegills once again came up on the ice to see me on a beautiful morning. Still my focus was on those mysterious crappies...where could they be? It was time to put the snowmobile to work. I went all over the lake, checking my normal locations, drop-offs, deep basins, and brushpiles. Finally, I had found them. I caught one after another for about an hour, and then it was time to go home for lunch. Oh, and they were still biting, something hard to do, but it had been a great morning, so back home I went. A couple final thoughts about the weekend; fishing alone is much harder, and hard work does pay off. 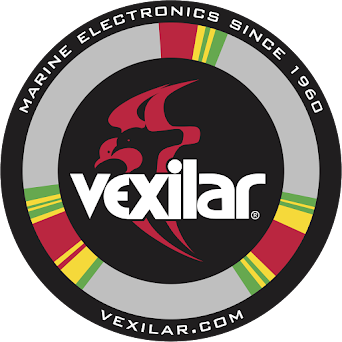 When you have to drill every hole, check every hole with the Vexilar, and fish every hole, it takes awhile to get a feel for the fish. However, it also does make you "one" with the fish too, as you know all of your surroundings very well. Monday and Tuesday, January 6th and 7th brought temperatures so low that most schools in the state were closed. Marshalltown School District was no different, classes were cancelled both days. So Christmas vacation was extended two days, so what else was there to do??? Go ice fishing! Monday, David Bowles (a fellow teacher) and hit a private pond here in Central Iowa. The temperature was -13 degrees as we pulled away from my house. With the wind figured in, the temperature was -48 degrees. We had a quick plan to set up the shack once we made it to a deep basin in the pond. After a few holes and David checking with the Vexilar, we found the fish quickly and set up the shack and got the heat going. We spent the next 3 hours or so catching some nice crappies and bluegills. It was fantastic, as the weather didn't affect us at all. The worst part of the trip, as always was packing up and getting all the gear back in the truck. A wonderful day on the ice had ended. ﻿﻿The next day brought us to Hickory Grove Lake, just west of Marshalltown for some morning fishing. The temperature was a little warmer, well, it was above zero. Wind chill was about 20 degrees below zero, again, we had a game plan and a location in mind that I knew we could catch some fish. We set up in a deep basin around a large brushpile in 23 feet of water. Fish cruised through the area all morning long for us. We caught dozens of crappies and bluegills. I ended up keeping a few for my neighbors to enjoy a meal of bluegills, something they appreciate very much, as they are unable to fish for themselves anymore. Once again, we beat Mother Nature, and we were able to enjoy some area lakes on a frigid winter day. Yes, the weather was very cold, but we had the proper clothing, laying is most important, and we had the comfort of a shack with heat. It just goes to show that a properly laid plan can create a wonderful time in the outdoors. I spent a few days back at the old stompin' grounds over the holidays. 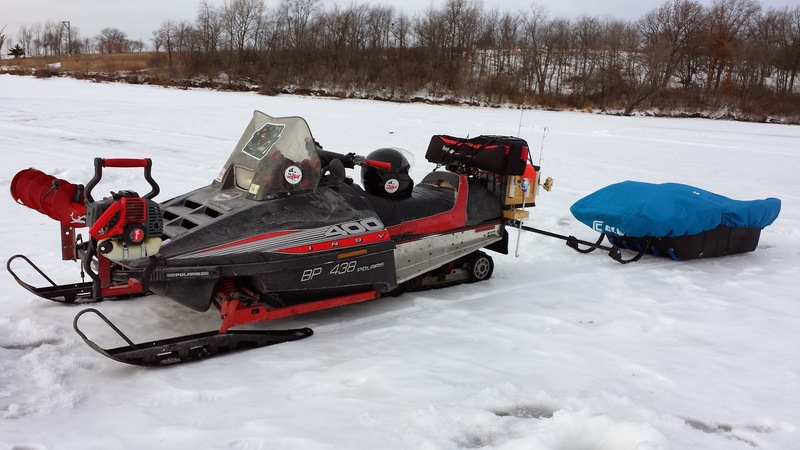 My two brothers and two brother-in-laws decided to break in the new year snowmobiling, so I tagged along to Volga State Park with my ice fishing gear in hand. The temperature was well below zero with the wind, so the shack was on the ice for the first time all year. I had never ice fished at Lake Volga before, a few pointers from a friend, and a quick look at the lake contour map led me to an area that had all the pieces I was looking for. I set up in 16 feet of water, that had brush in adjacent shallower water. A perfect setup for winter time fishing. The fish were cruising, which normally means they are on the prowl for food. 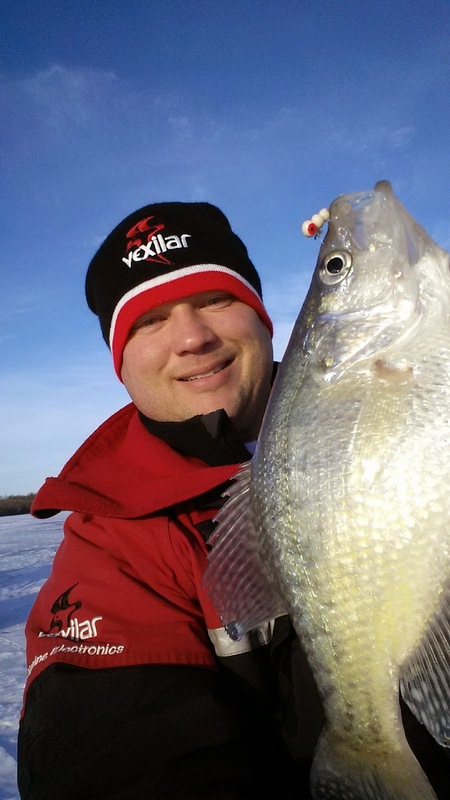 The Vexilar FLX-28 really came in handy for these suspended fish. These fish were hungry, up until about 10am, and then they just stopped eating. It was a great trip with fast action from sun-up until that 10:00 time. 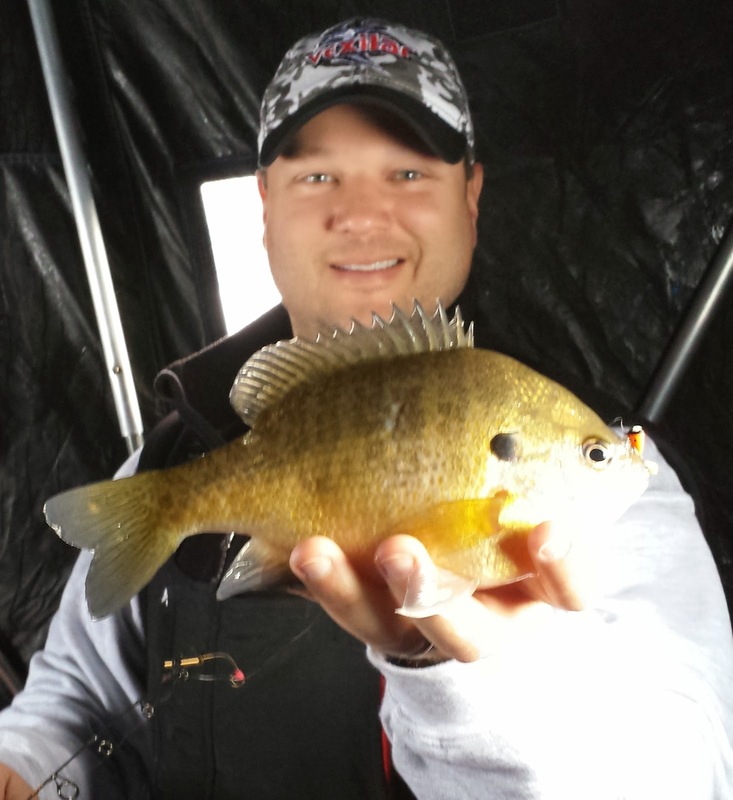 Crappies, bluegills and a few perch made it through the ice that morning. A nice trip, and a great way to break in the new year.